AssetTrackr is founded by IIT graduates with rich experience in telematics, wireless, enterprise and social media applications development. 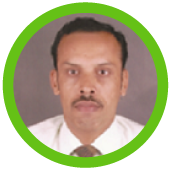 Ashok Yerneni has over 25 years of experience working in startups and public corporations in various capacities at IBM, Silicon Graphics, BroadWare, Bandspeed, TutorVista,Laird Technologies. 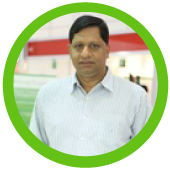 He has extensive experience in hiring and leading engineering, offshore development, operations and technology partnerships ,Internet Technologies,Telematics and Cloud. He has consulted with Redbus, Reach Technologies, Fashion Networks etc. 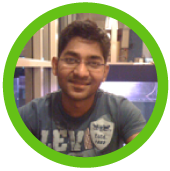 Vikas, is a second generation entrepreneur with 10+ years experience in cloud, web and open source technologies. He is an IIT Guwahati alumnus having graduated in 2002 in Computer Science and Engineering. He has always been passionate about start-ups having been involved with multiple product as well as consulting start-ups. When not working, he loves travelling and reading motivational books and books on economics and finance. 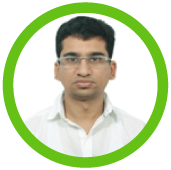 IIT Guwahati grad Abhijit handles technology and is responsible for the overall technology stack used in SafeKar. With a background as an entrepreneur in cloud, web and open source technologies, Abhijit is looking into the overall backend infrastructure making sure it works as smoothly as it can. When not working, he loves travelling, reading technology blogs and listening music. Sales Professional with over 18 years of experience in Logistics & IT Field.A Science Graduate from Bangalore University.Interests include Music,Travelling & Passion for Vehicles.Performance & Result oriented leader with extensive sales & business development skills & has worked with couple of leading Indian Companies.